Now that you’ve started making nutritious chicken stock from scratch, you’re ready to learn how to can it! 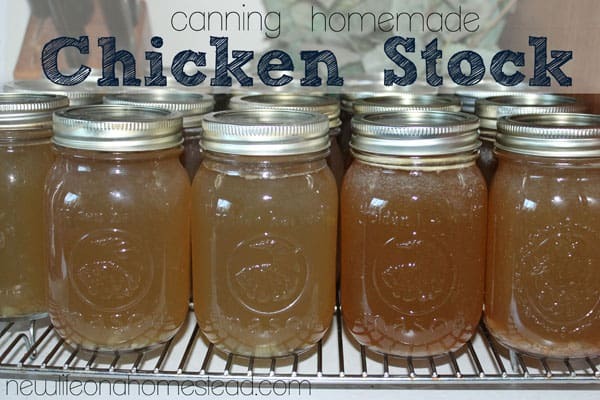 I know it might sound intimidating, but canning chicken stock is super easy. 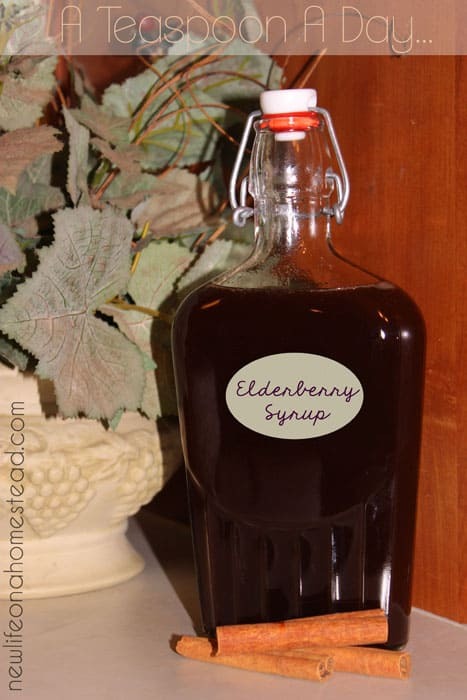 Not only will you save a ton of money by making your own, you’ll have a much healthier product to feed to your loved ones! And by learning how to preserve it with a canner, you’ll be able to line your pantry shelves whenever you want with the best chicken stock in town. The only thing you need to make sure you have besides jars and lids is a pressure canner . This is an absolute must. 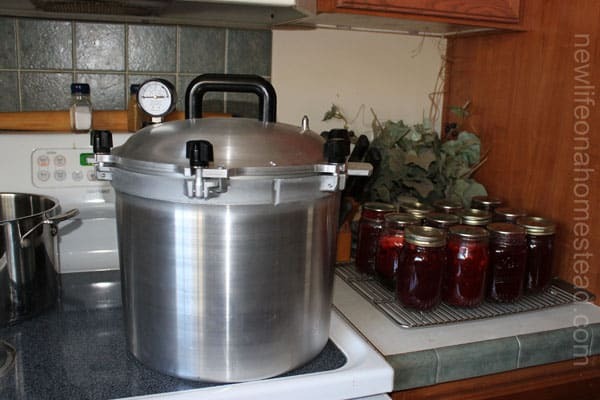 Pressure canning is the only safe way to can low acid foods, and should never be substituted with water bath canning. *The chicken stock recipe I use makes about 8 pints. Ladle hot stock into hot jars, leaving 1″ headspace. 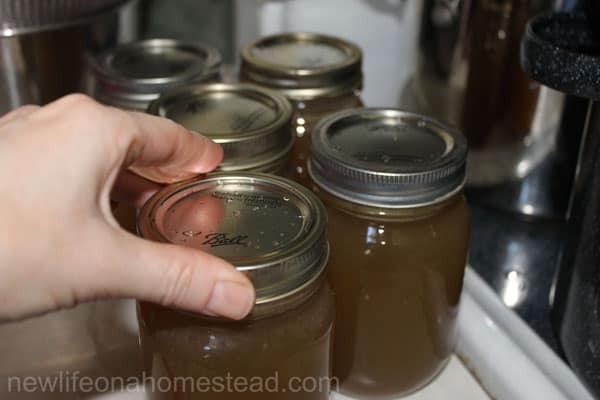 Wipe the rim of the jar with a wet cloth to remove any food particles or drops of stock. 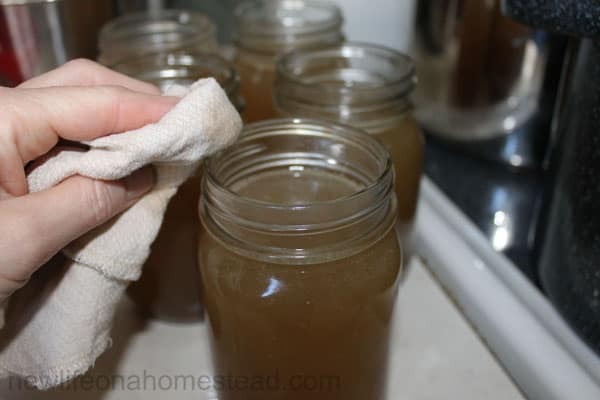 I wipe with white vinegar instead of water when I’m canning greasy products. This will help ensure a tight seal. Using a lid lifter or tongs, retrieve a lid from the simmering water. Screw down lid bands, finger tight. And place the jars in a pressure canner. I’m using an All American 921 Pressure Canner here. It’ll hold 19 pints or 7 quarts. Follow your pressure canner’s manufacturer’s instructions. For the All American, 2 inches of water needs to be added to the canner before filling it with jars. 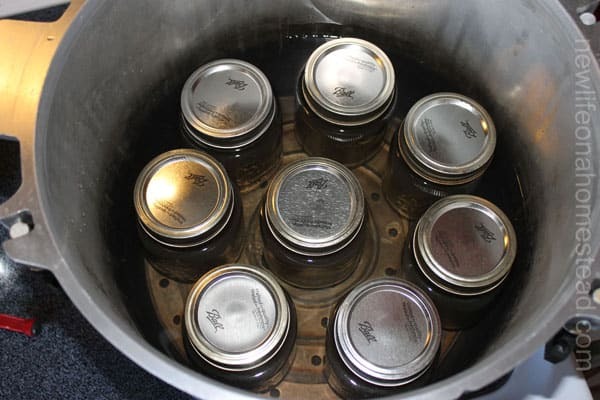 Make sure your jars are sitting on a rack in the bottom of the canner to keep them from resting directly on the heat source. Here I’ve got a second layer of jars placed in the canner. There is a rack resting on top of the first layer of jars which the upper jars are sitting on. Chicken stock needs to be pressure canned at 10 lbs of pressure; 20 minutes for pints, 25 minutes for quarts. Again, follow your manufacturer’s instructions for using your canner. Also, adjust your pressure accordingly if you live at high altitudes. Once the time is up, allow the pressure in the canner to drop to zero before removing the lid. I like to let the jars sit in the canner for about 10 minutes after removing the lid before taking them out of the canner. This helps to reduce siphoning (when liquid is lost from the jars). 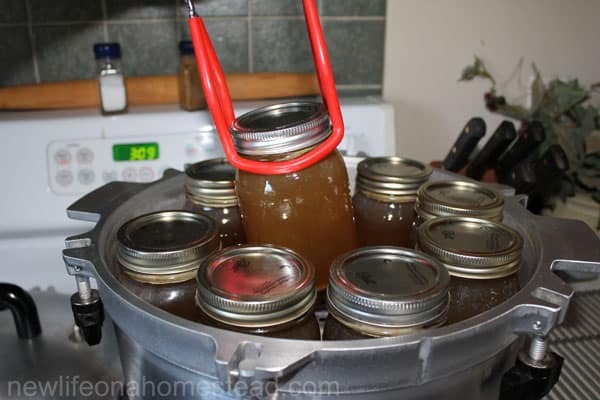 You’ll want to use a jar lifter to remove the jars from the canner- they’ll be super hot! Place jars on a rack to cool for 24 hours before testing the seals. Always test the seals before placing jars on your pantry shelves. If a lid does come off easily, place that jar in the fridge to be used within a week or pour it into a ziploc to freeze. Not too hard, huh? Delicious homemade broth all ready and waiting for a future meal! By the way, this paired with homemade chicken noodle soup is TO. DIE. FOR. Still nervous about using a pressure canner? Pick up a copy of my DVD: At Home Canning For Beginners & Beyond. 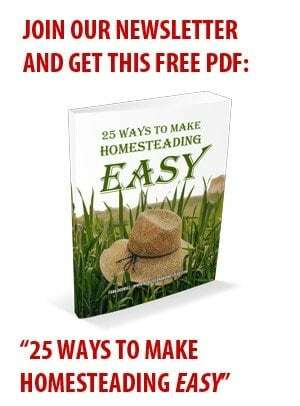 In it you get almost 2 full hours of step-by-step instructions on how to can everything from fruits and veggies, to meats, beans, and meals in a jar! So if you are going to leave the fat in the broth, is there any reason you would have to refrigerate? Could it just go from the broth pot to the jars to the canner? 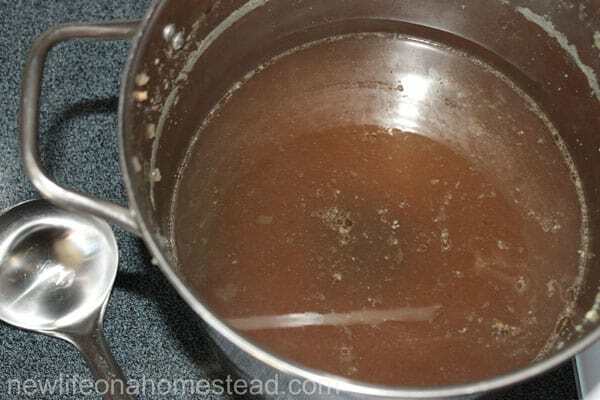 Do you have to skim off the fat when making soup stock? It tastes really greasy if you don’t. Do you have the recipes you made in your video on the web site? I just went thru the ones listed on the web site, but many weren’t included. The video is wonderful! You are patient, thorough and easily understood. I’m so glad I purchased the video! 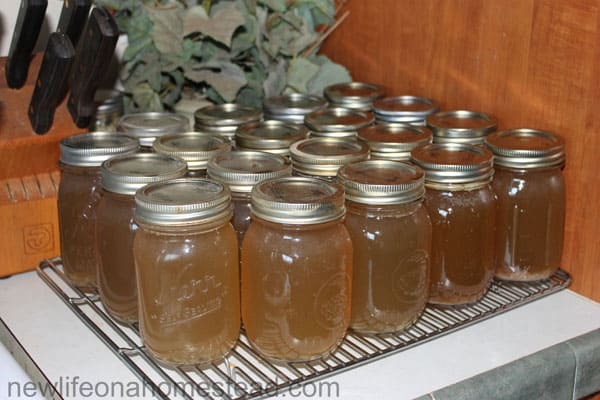 I’ve been canning for almost 50 years now & love doing it. My canner is a National & I think it was manufactured around the mid 1930’s. It was a gift from the lady who taught me how to can. Believe me, your video brought me up to speed as they sure didn’t go thru all the steps you teach & I’m so glad to learn the safer way to can. Thank you again for your great video! 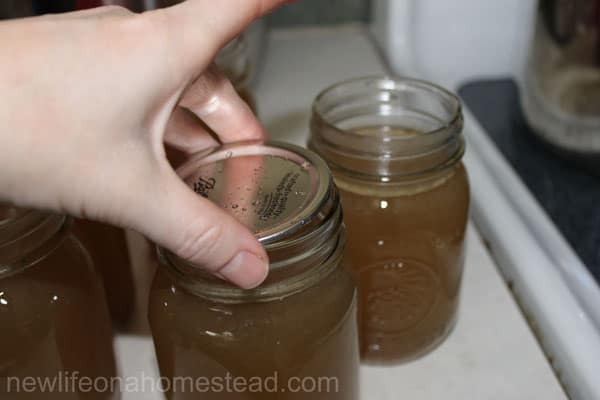 I don’t have a pressure canner, could I can using the water bath method like we do our veggies? Sill new at canning. Unfortunately, you absolutely MUST use a pressure canner to can anything that is low acid (meats, veggies, etc.). If it’s not a fruit or pickled, you need to pressure can it. Otherwise, you risk dangerous food poisoning. Botulism thrives in a low acid environment. Simply cooking the broth doesn’t kill the botulism spores. It must be pressure canned at high temps in order for it to be safe. 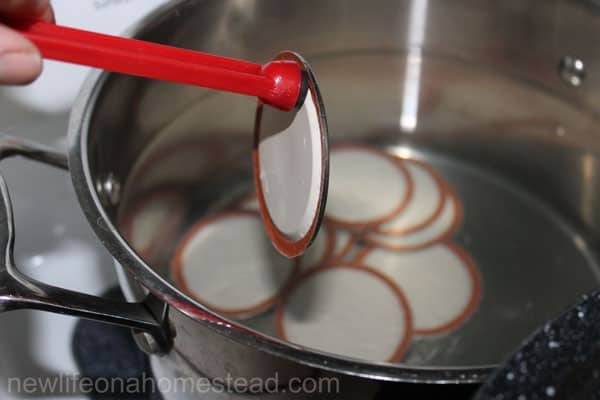 I have always heard you cannot use a canner on a glass stove top, so I have postponed buying one to start my canning adventure until we move somewhere else, I have been sad because this is a homestead skill im dying to learn!! 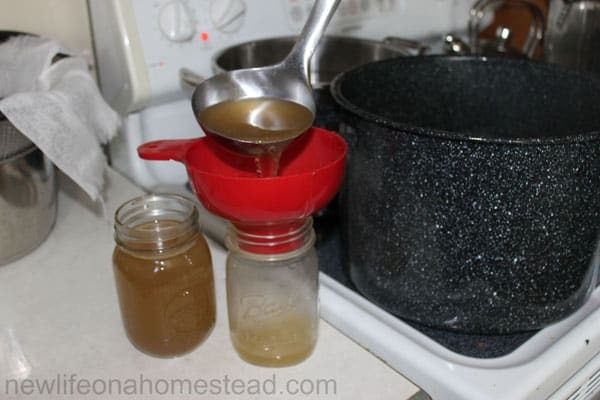 🙂 By your pictures it looks like to are using your canner on a glass top stove… have you read about not using them on glass top and just do it anyway or havent heard that? What is your experience? I would love for this to be my next big purchase!! But obviously I dont wanna buy something that Im not suppose to use. Lol. This is a topic I cover in my canning DVD :). 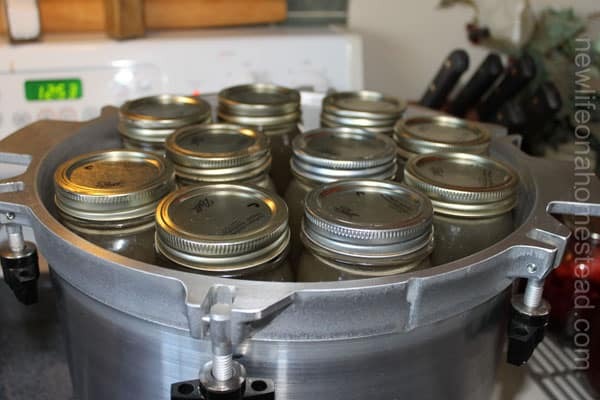 In short, it is safe to use a pressure canner (but no larger than a 21 qt canner) on a glass-top stove as long as you are very careful about not dropping or sliding the canner on the surface of your stove. Manufacturers warn against using a pressure canner on a glass-top stove because they do not want to be held liable for people damaging their stove tops being careless. I’ve always canned on a glass top stove and have never had any problems. Hope that helps! You say 21 qts confusing a little to me can you explain a little bit more for me, I also have a glass top, and have frozen my broths in glass containers and they have all broken in the freezer even after they have all been cooled and placed in the frige, then placed in freezer Love using my broth but can’t seem to keep from getting broken jars. Love this canning and having it ready for soups et. How long can you keep jars before using ?? Being new to this…is there a chart somewhere that lists how long a shelf life there is after canning your veggies, soups, fruits etc.? It is generally recommended that you consume home-canned goods within a year for the best quality, flavor and nutrition. However, as long as the jar is properly sealed it will stay good for many years. The nutrition will deteriorate over time, but it will still be okay to eat. My general rule is to eat our home canned foods within 5 years.